- Варианты Мультиустройства - Эта особенность позволяет Вам установке 4 IP камеры, чтобы контролировать одновременно. Using the same IP on each camera will cause an IP conflict. Make sure you read the user manual carefully and thoroughly before installing the IP camera. If you are not an IT "savvy" individual then you should consult a IT technician to help you install this unit. Yes, located in the user manual are the default user name and password, once you have logged in to the admin controls, make sure you change the default user name and password to something that you can remember but difficult for someone else to guess. What does IP stand for? Is this like a security camera? IP stands for Internet Protocol. 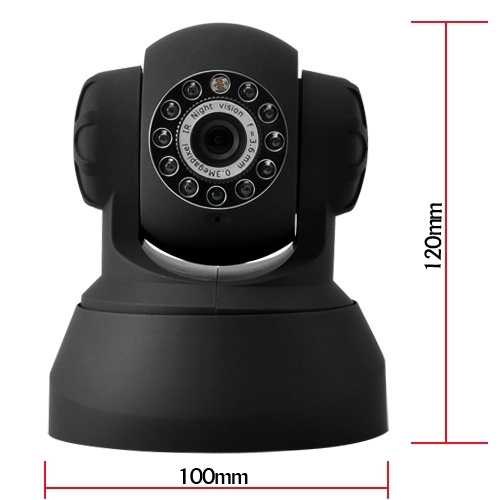 This kind of camera can be used like a security surveillance or webcam, the choice is yours. My friend sent me a link to www.megaupload.com/****** where he says there is a better firmware/software for this camera. So how do I "flash" the firmware? Which version of firmware does this camera run? We do not recommend flashing the firmware and cannot give you links or advice on changing the specifications of the product. Yes, you can find updated firmware and/or upgraded software on the internet for this IP Camera, but we cannot provide support or assistance in doing product modifications.